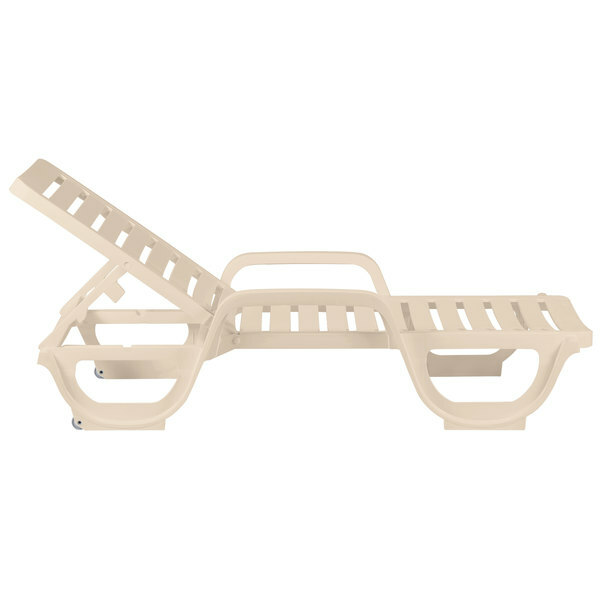 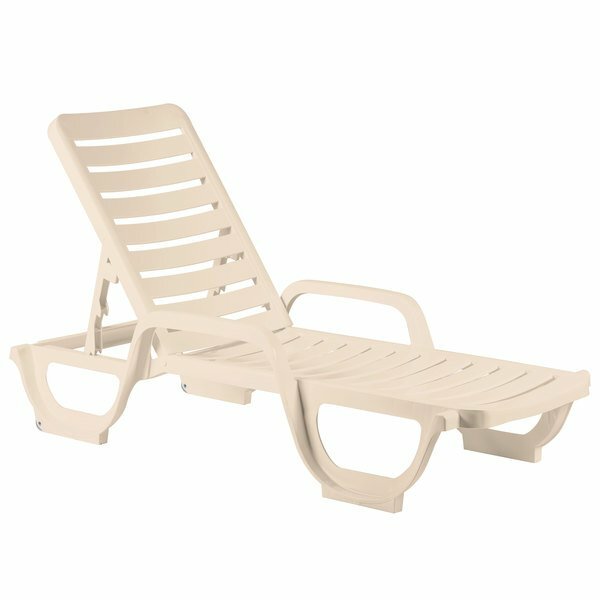 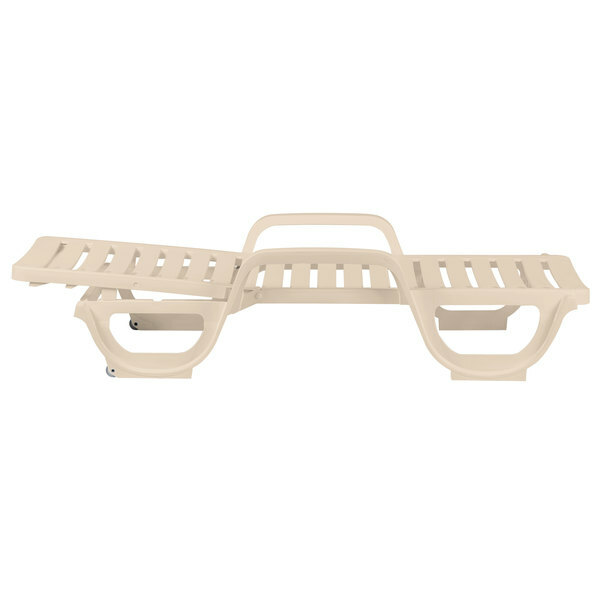 Give guests at your hotel, resort, or poolside bar a place to kick back and relax with this Grosfillex Bahia adjustable sandstone chaise. 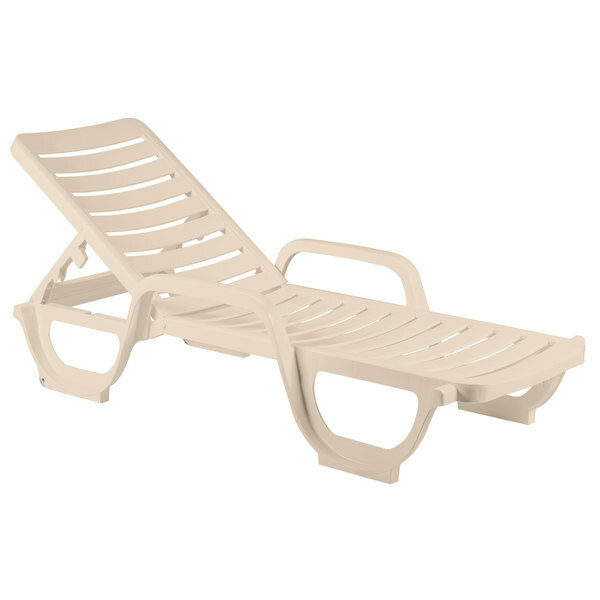 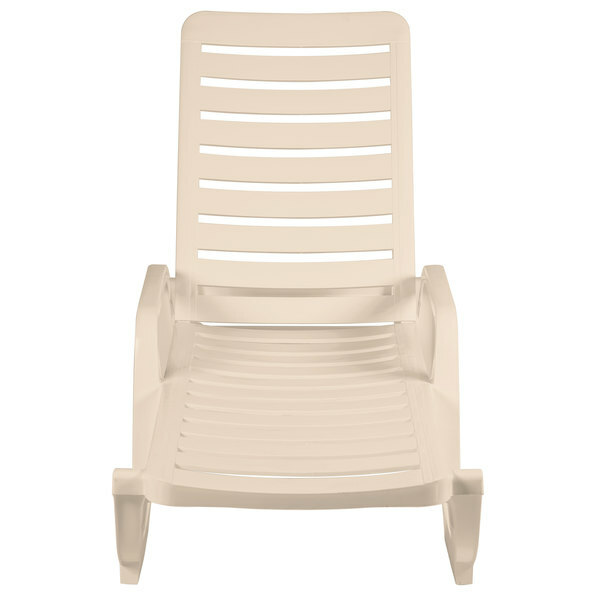 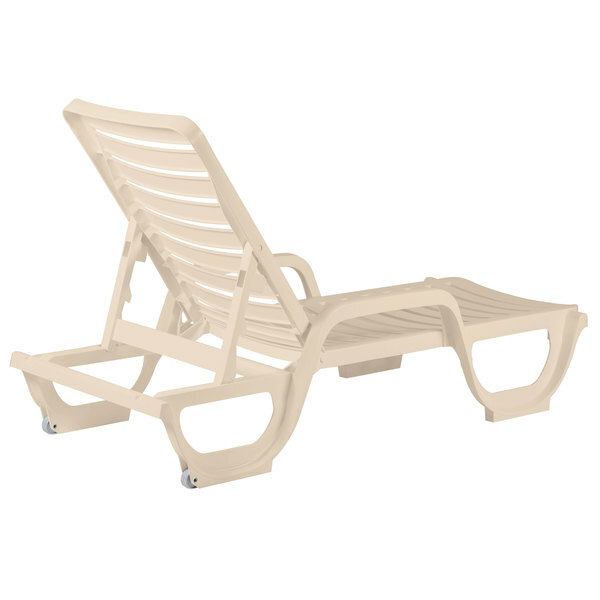 Perfect for use in or out of the water, this resin chaise lounge chair features an attractive sandstone finish and a movable backrest that lets you adjust for a quick poolside nap, relaxing with a drink, and anything in between! 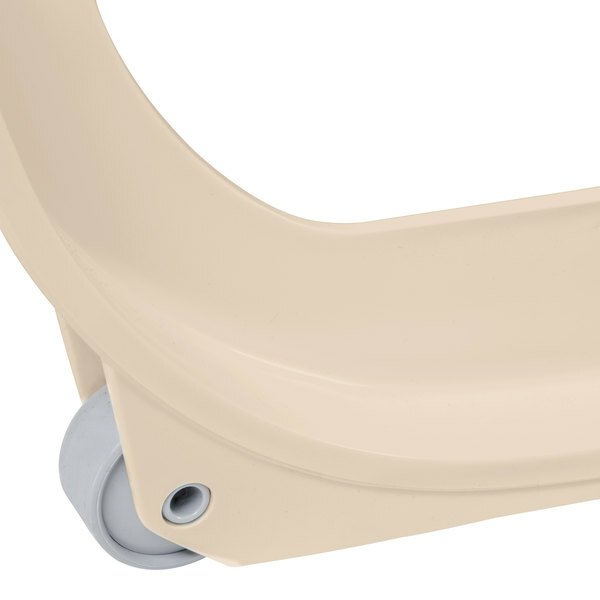 Recessed wheels make it easy to move from place to place, while its commercially-rated design provides superior durability and stacks for easy storage. 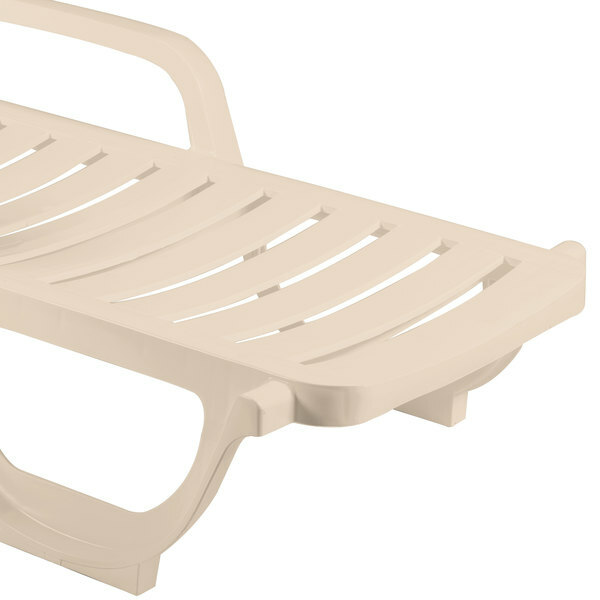 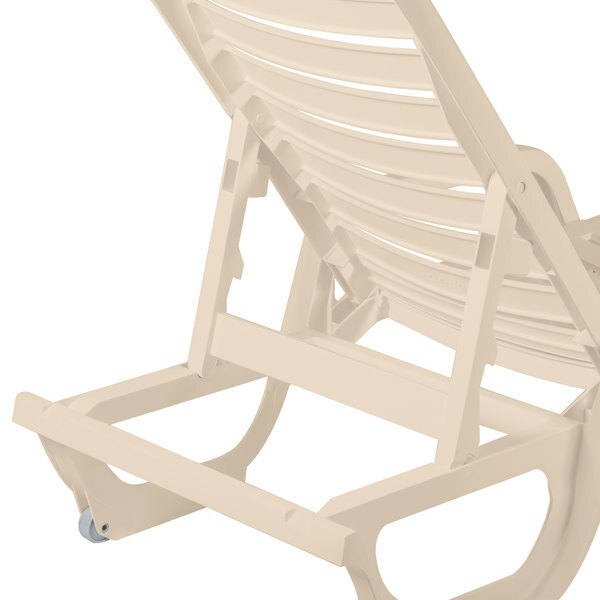 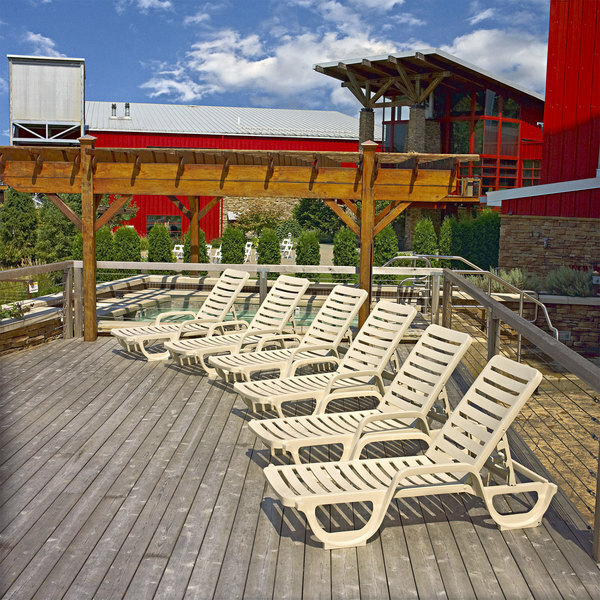 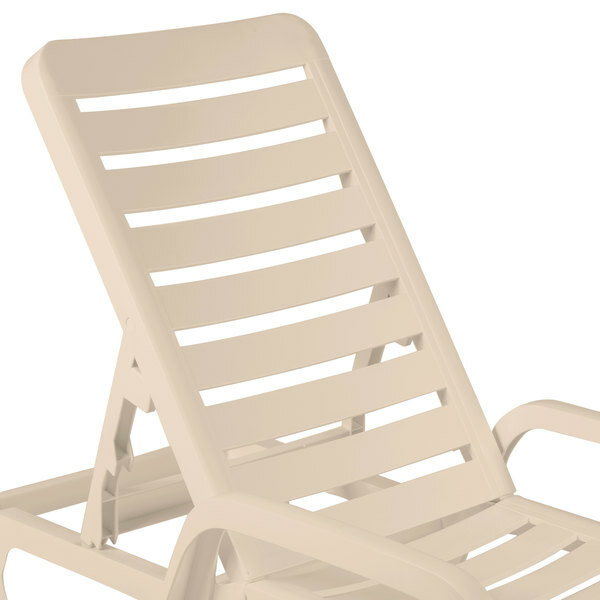 Since it's also UV resistant, this chaise resists fading and discoloration by the sun longer than retail-grade plastic furniture, providing multiple years of reliable use.